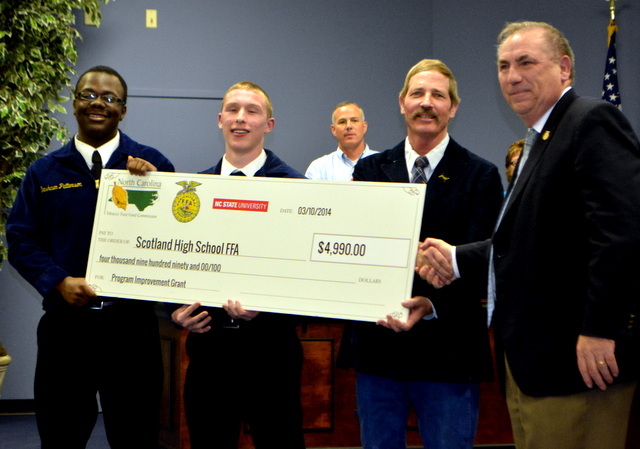 Dashawn Patterson were recognized at the Scotland County Board Meeting on Monday, March 10, 2014. Gerald K. Barlowe, State Agricultural Education Leader from North Carolina State University presented the department with a check for $4,990 to be used towards Program Improvement Grant. The program will use the funds to purchase iPads for the classroom.